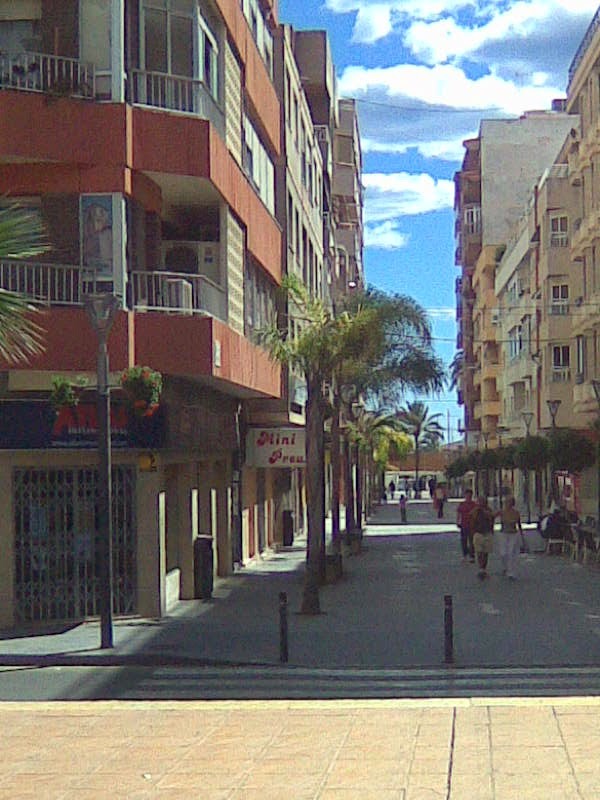 The town of Torrevieja is a short drive from our house. The small city dates back to 1802 and is named after the old watch tower (Torre = tower and Vieja = old). I have heard a number, and read a lot more, comments on how awful the place is and how crime-ridden by people who have not been there in recent years (if at all). So large cities with high rise are not my kind of place but to my surprise I find I like many parts of this particular city. The buildings are, in the main, not that tall. In fact smaller than other large tourist towns I know well in the northern Costa Blanca such as Calpe, Denia, Javea and of course, Benidorm (which I don’t know well as one visit was enough!). The place is truly international with influences from as far apart as Italy and the Caribbean, with one of the most diverse populations in Spain. In 2014 the population is recorded as 108.063 of which around 47,000 are Spanish and the rest a wide mix from across the globe. Native English speakers make up about 11%-12% of the total population, which is pretty much in line with the overall percentage in Spain and lower than some other coastal towns. To give you some idea of how the town has expanded the current population is around four times larger than in 1990 and twice that of 2000. 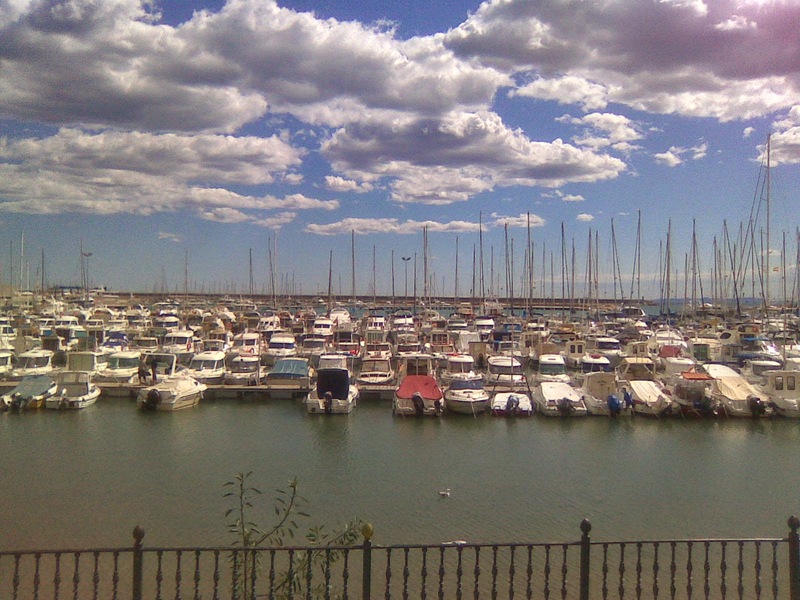 The town’s blue flag beaches, long promenade, fishing port, yacht club and harbour make up the sea front. Much of the tourist area of town has undergone an up-date with new pedestrianised areas, new theatre, new out of town concert venue, new tourist information office and much more. The narrow streets are packed with individual shops and bars run by the Spanish, not ex-pats, with residential apartments above, many to only five storeys. The town has somehow maintained its identity whilst catering for international visitors which swell its number to 500,000 in high season. So is it crime ridden? In the past the police force was over-stretched due to the very rapid expansion of the town, which stopped when the property boom ceased. These days they seem much more on top of things and crime rates are comparable to other medium sized sea-side resorts. As with resorts, cities and busy market places around the world there are pick-pockets and other opportunistic criminals taking advantage of the relaxed holiday makers. But this is the same the world over. If you take care of your belongings you will be ok. As for comments I have read about ‘bars on windows’ I can’t help but laugh. Window and door grills are, and have been for longer than the tourists have been coming, part of the way Spanish properties are built. The sudden increase in eastern Europeans living in Spain a few years ago but unable to work in Spain caused a problem as they had to steal to eat but their numbers have declined as they have realised they can do better in other countries where they can find work or claim benefits. In recent times the fact that there is no long-term benefit help to the unemployed has left some individuals desperate and feeling they have no option but to resort to crime to feed their families has become a challenge, but overall crime rates are not something to fret about. Since the town made it illegal to buy from the ‘looky-looky’ men with their fake goods touted on blankets along the sea front they have almost disappeared. 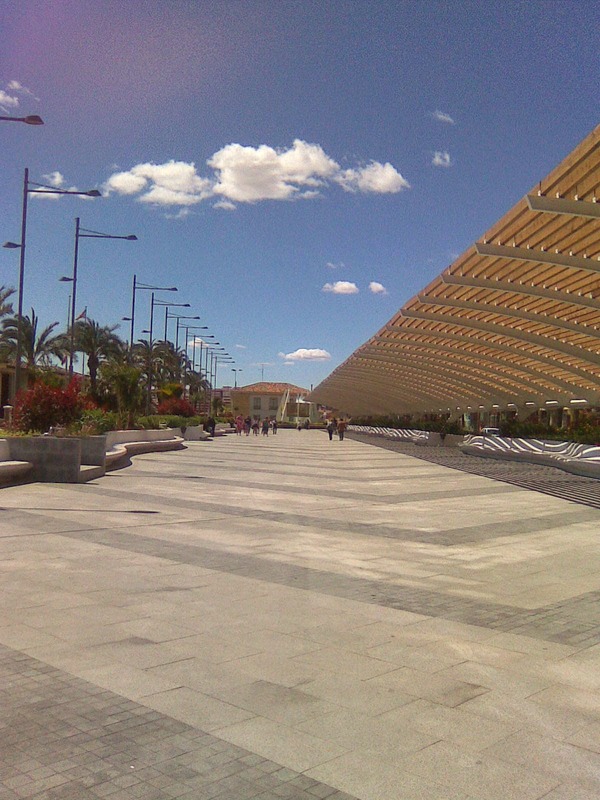 Do I feel safe walking around Torrevieja? Yes. Do I feel safe walking around London? No. 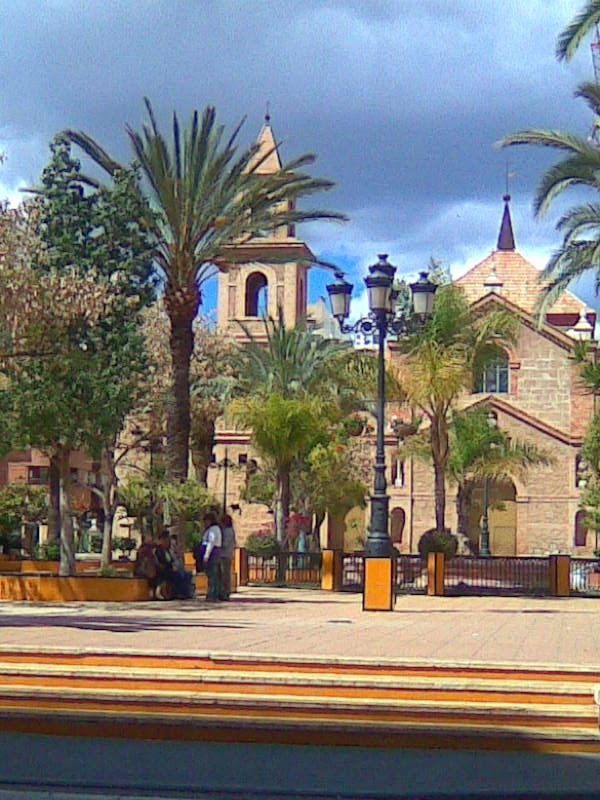 Perhaps one of our favourite pass-times when we go to Torrevieja is to visit Valors and enjoy their chocolate y churros, on the opposite side of the road to the square by the church of the Inmaculata Conception. The original church, like much of the town, was destroyed by a major earthquake in 1829 and the current church was built in 1844 using the stones from the original watch tower (Torre) in the foundations. If you have children then the fun fair and Park of Nations are a must. Or if you prefer more cultural surroundings then have a coffee in the Casino (which is not a casino but a restaurant and art gallery and social centre). If you are there for the right week in August then you can experience the Habaneras Festival which has been run annually in the city for over 40 years. This is a music festival and competition where the music is a fusion of Cuban and Spanish.